Come to see the city where modern civilisation was born and where the very best Ancient Greek structures were built. Athens is not just a busy metropolitan city, it’s also the home of fantastic archaeologic sites and museums which host artefacts dating back as far as the Persian Wars. 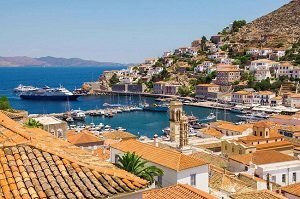 History lovers can certainly get lost among ancient remains while food lovers can dip into delicious Greek cuisine and nature lovers can escape to the beaches and islands of the Saronic Gulf. You’ll have plenty of options for exploring the city centre with City Passes which give you unlimited access to Athens public transport. There are also 2 leading Hop-On Hop-Off city sightseeing bus operators which offer a variety of routes around the centre of Athens, to its picturesque suburbs and to nearby stunning beaches, and you’ll be able to jump on or off at any stop! For visitors who prefer guided tours, there are various city walking and cycling tours available, some include comprehensive tours of the Acropolis and Parthenon, while others will show you the top sights of the city including the very first Olympic stadium and the magnificent Temple of Zeus. Greece is best known for its well preserved archaeological sites like Delphi and the Temple of Poseidon which can be visited on full-day or half-day tours from the centre of Athens. The key to the City of Athens. The Hop-On Hop-Off Tour Bus lets you explore the entire city at your own pace. 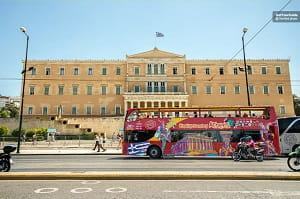 A semi-independent tour of the Athens, use the double-decker bus to reach top locations in Athens. Cruise the Greek Capital and it’s surrounding suburbs on an open-top bus tour. Learn about Athens with a complimentary audio guide. Hop-Off at any stop to visit your favourite attractions. Re-join the sightseeing bus tour at any stop. Use 4 separate bus lines to explore the city. 24 or 48 Hour Hop-On Hop-Off Bus Tour. Onboard Audio guide in 16 languages. This is a recommended tour on TripAdvisor. Travellers agree that the Hop-On Hop-Off bus service is excellent value for money and a very convenient way to travel. Perfect for visitors who like to have the freedom of a flexible itinerary. Ideal for families and disables visitors. Built on the ruins of an ancient site, the Acropolis Museum hosts a comprehensive display of Artefacts which were found within the Acropolis itself. This is a ‘must have’ time saving ticket which will help you make the most of your time in the city. Breeze to the front of the line and entre the ancient world of the Acropolis Museum. Browse the museum independently and take your time to observe each item. Learn about the Ancient Greeks and about life in Ancient Greece. Skip the line entry ticket for the Acropolis Museum. The Acropolis Museum is a highly rated attraction with average customer scores of 4.5-stars. Although visitors point out that this is not a huge museum most comments agree that the artefacts are well worth seeing. Visitors generally agree that skip the line entrance will save a good amount of time. A ‘must see’ for history lovers but also interesting for anyone planning to visit the Acropolis. Suitable for visitors of all ages. Take a step back in time to a world of grand temples, multiple gods, and fine arts. This is chance to see the most significant construction of Antient Greece and tour the site with an expert historian guide. Take a guided tour of the Acropolis. Marvel at antient ruins and learn what the Acropolis what originally built for. 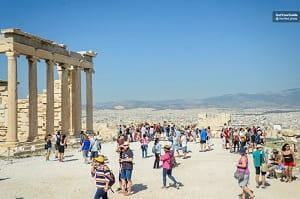 A 90-minute tour of the Acropolis in Athens. An excellent English Speaking tour guide. 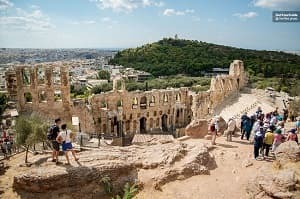 Athens’ Acropolis has flying reviews from the thousands of people who have visited and the 90-minute guided tour has also rated very highly among travellers. Generally comments agree that Athens Walking Tours are very professional and the tour runs very smoothly. Some customer reviews have described the Acropolis as a site of ‘knowledge and wisdom’ and claim that its is the ‘number one site in Athens’. If you’re visiting Athens then you will probably be interested in visiting the legendary Acropolis. Historians will love the insightful guided tour of the sight. If you are unfamiliar with Ancient Greek history then the tour will help you to understand the site. The ancient Acropolis is a predominant feature in the city of Athens. This comprehensive guided tour takes you into the heart of the archaeological site and into the historic streets of the Old Town. Spend 4 hours of your vacation in Athens getting to know the ancient side of this metropolitan city. Visit the most famous UNESCO World Heritage site of the Ancient Greek Empire. Learn about the temples and buildings from an expert guide. A fully guided visit the New Acropolis Museum (if specified) and the Acropolis, including the Parthenon. An excellent bilingual tour guide. This private tour has received many 5-star reviews from international travellers. Travellers frequently mention great tour guides and generally say that the tour is informative and entertaining. If you are visiting Athens and would like to take a private tour of the city’s main attractions then this is the tour for you. For people who prefer a small group experience and want to learn about the city. A comprehensive guided tour of Athens and its highlights. This package tour will introduce you to the metropolitan Greek Capital as well as leading you into the realms of Ancient Greece. Meet your guide outside of the Acropolis. Discover the ancient sights of Athens, including the Agora and the Parthenon. Stroll the city’s charming streets. Use your free time to shop or grab a coffee. 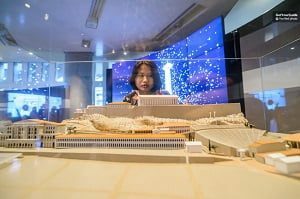 Learn about the Acropolis and the Acropolis Museum. Guided tour of the Acropolis. Fully qualified English-speaking tour guide. The tour has been described with the words ‘fabulous and informative’ by one traveller on TripAdvisor. Another said that the guided tour is much better than reading a guide book. Overall the 5-hour Athens walking tour has positive feedback and mostly 4 and 5-star reviews. A visit to Athens Acropolis will be a unique experience and very interesting, whether you have absolutely no knowledge of Ancient Greece or you’re a A* history buff. The tour is great if you are visiting the Acropolis and the Acropolis Museum for the first time. Also very convenient for visitors on city breaks or one-day visits. A complete city tour which includes visits to the most significant sights and locations around Central Athens. An opportunity to see and learn a lot about the city in a short amount of time. Save time with skip the line entry to the Acropolis. Benefit from the extensive knowledge of you English-speaking guide. Visit Syntagma Square, the Parliament Houses and the National Gardens. Tour the Acropolis complex and see the city centre from the Parthenon. This is a very highly recommended tour with full 5-star reviews on both TripAdvisor and Viator. Reviews from visitors imply that the tour is defiantly worth taking. Many reviews have said that the tour operated very well and is led by excellent tour guides. Perfect for history lovers and first-time visitors in Athens. A good option for people who want a comprehensive city tour without taking an entire day out of their visit to Athens. This tour is family friendly and suitable for solo travellers as will as small groups. A chance to drive into the heart of Ancient Greece and the most sacred location of the Ancient Greek Empire. A full-day excursion from Athens. 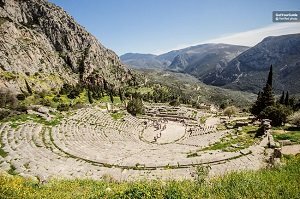 Travel on a comfortable coach from the centre of Athens to Delphi archaeological site. Enjoy picture perfect views of the surrounding Greek mountain ranges. Take a guided tour of Delphi and the Delphi Museum. Learn from an expert historian guide about life in Ancient Greece. Entrance fees to the Delphi Museum and Archaeological Site. Guided visit with an experiences Bilingual tour guide. Return transport by luxury bus. 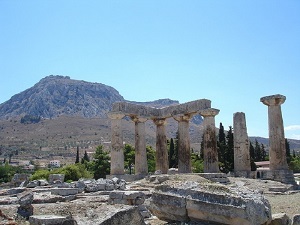 The Delphi day tour has hundreds of reviews from travellers who have participated in the excursion. The majority of comments are very positive, saying that the tour guides are knowledgeable, the tour is smoothly operated, and that Delphi is worth visiting. The trip has an average 4.5-star rating from travellers on TripAdvisor. Nature lovers will be taken in by the marvellous Greek scenery on the way to Delphi. A day trip to Delphi is a must for history lovers, this ancient archaeological site dates back over 2,000 years. This tour is suitable for all ages however disabled access is limited. 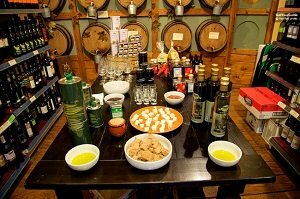 A half-day walking tour which will tingle your taste buds and let you sample some of the very best Greek foods. A fun and sociable city tour and an exciting alternative to a standard sightseeing tour. Tour the streets below the mighty Athens Acropolis with an experienced local tour guide. Learn about the metropolitan city and its diverse gastronomy. Taste a mix of typical foods and Mediterranean cuisine. Find the best places to eat and drink around the city centre. Local guide and food themed walking tour. This tour has fantastic 5-star reviews on both TripAdvisor and Viator. It appears to be a very highly recommended tour to take while in Athens. Most comments will tell you that the Taste of Athens walking tour gives a good introduction to local cuisine and an interesting way to learn about the city. This tour is right for anyone who wants to get the Greek flavour. Whether this is your first time in Greece or you’re already familiar with the countries typical foods, this tour will specifically introduce you to the best places to grab a bite to eat in Athens. An excellent Athens city sightseeing pass valid for 48-hours. A time and money saving pass which will let you discover this Greek Capital at your own pace. Save time with skip the line entrance to the New Acropolis Museum. Ride around the city on the open-top Hop-On Hop-Off city sightseeing buses. Take advantage of discounts and freebies at several attractions, shops, eateries and other venues in Athens. Choose from a MINI, CLASSIC, or COMPLETE Athens City Pass. Athens City Pass (MINI, CLASSIC, or COMPLETE). Free entrances and city transport. Discounts at many locations across the city. Reviews have said that the City Pass if very practical when visiting Athens. Some travellers point out that the Pass is worth while even if you will only it for skipping the line at attractions. The Athens City Pass has very positive feedback from travellers on TripAdvisor. 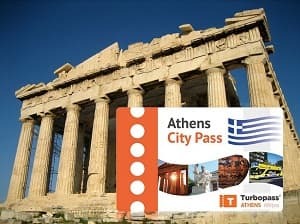 If you want to see many of Athens best attractions and tour the city during your stay then this City Pass will be very useful. Also a good option for budget travellers, you will save money with discounts at several attractions. A full day excursion from the Central Athens. This fun cruise takes you out of the city for a day sailing on the gorgeous see. A chance to visit a few of Greece’s many islands. A unique and sun sightseeing tour. Visit 3 stunning islands located just off the coast of Athens. Explore Hydra, Poros and Aegina at your own pace or with and additional guided tour. Have the option to bathe in crystal clear sea waters or visit Ancient Greek sites. Travellers generally say that the full day cruise is the best and probably the most economical way to see all 3 islands. Comments also say that sailing to the islands is an experience not to be missed. Overall the cruise has a 4.5-star rating on TripAdvisor. If you have a passion for the fresh sea breeze then you will love this whole day sailing cruise. Fun for families and friends or solo travellers. The best option for people who want to explore all 3 islands. Historians will enjoy visiting the Temple of Athena. A convenient city sightseeing tour of Athens which lets you decide upon your own tour itinerary. The iconic big red bus has 3 different routes: the first circles the city centre, the second takes you to Piraeus, and the third is a summer route to beaches near Athens. 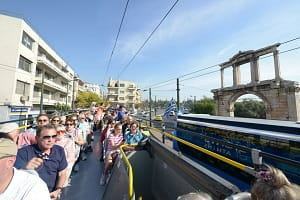 Cruise through the centre of Athens on and open-top sightseeing bus. Use the Hop-On Hop-Off service to visit the city’s top attractions. Benefit from the use of 3 separate sightseeing lines. Access to Hop-On Hop-Off sightseeing buses for 24 to 72 hours. Onboard audio guide and headphones. Free shuttle to the McArthur Glen Designer Outlet. The Hop-On Hop-Off bus tour service has many excellent reviews on TripAdvisor. Overall it has a 4.5 out of 5-star rating and travellers generally agree that this is the most convenient way to see the city. It seems that most people who have used the Hop-On Hop-Off bus would recommend it to other travellers. If you want to explore all sides of the Greek Capital then this is a convenient transport option. The Hop-On Hop-Off Bus tour is suitable for adults, children and seniors. If you are a wheelchair user then the Hop-On Hop-Off service will make travelling around the city very easy. A fast-paced tour of Central Athens by top quality bicycle. A chance to get to see Athens like a local. A fun sightseeing tour which will show you the top things to do in Athens. Ride through the centre of Athens in the company of a knowledgeable tour guide. See the city’s top sights and attractions on a half-day tour. Learn about the historic city and the ancient ruins. Get tips and recommendations for your time in the city. Use of bike and helmet. 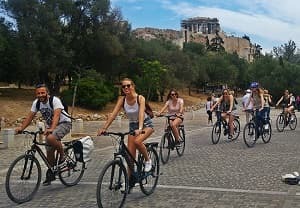 The Athens bike tour has fantastic 5-star feedback and is one of the most highly recommended tours available in Athens. Travellers have said that the tour is an excellent way to see the city. Some customers have also mentioned that their children had no problems keeping up. If you enjoy getting active and want to see a lot of the Greek Capital in a just half a day then the Athens bike tour is right for you. Great for first-time visitors, you’ll get a good introduction to the city. Fun for families and friends. A stress-free way to travel between Athens Airport and the city centre. A shared airport transfer which is a compromise between a private taxi and public transfer. 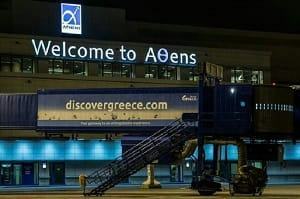 Meet your driver inside the arrivals lounge of Athens Airport or at the lobby of your Athens Hotel and travel on a comfortable bus directly to your destination. Save time and money on a shared shuttle bus to the city centre or to the airport. Start your holiday safely and hassle-free. Airport to City or City to Airport Transfer by bus. Travellers generally agree that this is a cost effective and time saving way to travel between the city centre and Athens Airport. Overall comments say that the buses arrive and depart on time and that the driver is both friendly and helpful. Right for anyone who wants to save time and avoid stressful self-transfers while on vacation. A cheaper option for visitors travelling on a budget. Convenient for solo travellers and families with children. A half day tour from Central Athens to discover the marvellous Cape Sounion. A chance to visit a temple which dates back to the times of Ancient Greece. A comfortable tour by luxury tour bus. Soak in stunning coastal views on the way to the Temple of Poseidon. Tour the archaeological site and watch the sunset from the seaside. Learn about the Greek coastline and historical sites from an expert tour guide. Hotel collection (selected hotels only). Travellers say that visiting the temple is well worth the journey. Overall, they agree that the tour is well organised. Travellers reviews have said that the tour is run by knowledgeable and friendly guides. Right for you if you are interested in combining an afternoon on the Greek coastline with visiting one of Greece’s top historical sites. Convenient for people travelling without private transport. This half-day trip is suitable for all ages and for families. 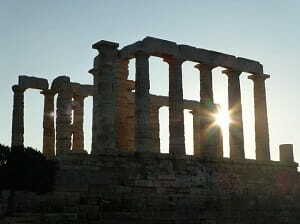 A twighlight tour of the Cape Sounion, famous for its incredible views, south of Athens. Upon arival, travelers acquaint themselves with the Temple of Poseidon through a live commentary. The views encompass several islands of the Aegean Sea. Travel through beautiful suburbs of Athens to reach the Sounion Cape. Admire panoramic views of beaches, villages, islands of the Saronic Gulf and the blue sea. 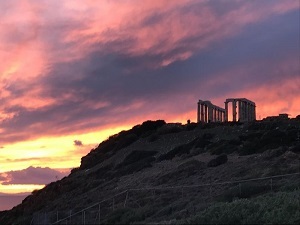 Learn the history of the Temple to Poseidon and enjoy the sunset at the cape. Transport by a minivan with air-conditioning. Expert and friendly tour guide. "The cape at sunset was stunning!" "I really encourage you to take this excursion"
"This was a great way to see the Temple of Poseidon." Joining the activity is the right thing to do for romantic vacationers. Admirers of ancient Greece should consider booking the tour. The activity is suitable for people of all ages. A day trip revealing stunning architectural examples of ancient Greece. Upon the arrival in Mycenae, visitors have a chance to examine a stronghold of the Mycenaeans, the warriors mentioned in Homer's Iliad. The last stop of the tour is Epidaurus, boasting one of the finest open-air theatres ever made. 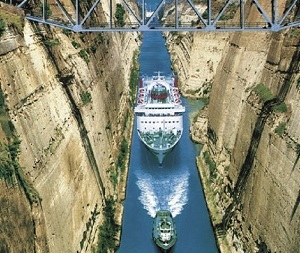 Admire the Corinth Canal, built by the end of the 19th century to connect Saronic and Corith gulfs. Tour the fortress of Mycenae, the stronghold of the society of warriors. Marvel at the Theater of Epidaurus, one of the finest and best preserved ancient theatres in Greece. Round trip by a comfortable, air-conditioned coach with Wi-Fi. Entries to the archaeological site of Mycenae, Tomb of Agamemnon and the Epidaurus Theater. Passionate tour guide and the pickup and drop-off service. "The Mycenae and Epudaurus was filled with sights and activities." "...a must see for all who care about history!" The day trip is a great activity for all fans of ancient Greece. The tour is highly recommended for history and culture enthusiasts. Admirers of Greek mythology should also join the guided tour. 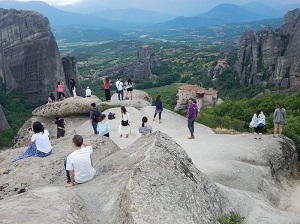 A day trip to Meteora that reveals stunning monasteries sitting atop sandstone cliffs. Besides the renowned Orthodox monastic complex, travelers have a pleasure to explore Kalambaka, a nearby town. A chance to take fantastic photos of the valley and the surrounding mountains from the Panorama Rock. Travel by train from Athens to Kalambaka, where a personal driver awaits you for a drive to Meteora. Visit two Orthodox-Christian monasteries perched atop high cliffs. Explore the charming town of Kalambaka before catching a train to Athens. "The view from the mountain top is breathtaking." "The guide and bus driver were fantastic." Travelers admiring rich cultural heritage of Greece should book this tour. Don't miss the activity if beautiful nature and human craftsmanship inspire you. Fans of history have what to look forward to during the trip to Meteora. Tour involves legendary, cultural and historical facts related to the Greek capital. Travelers visit the Acropolis, Temple of Olympian Zeus and other attractions relating to classical Greece. The tour guide conveys stories revealing how Athens and its culture developed. 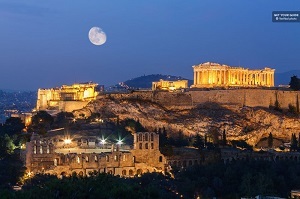 Familiarize yourself with myths and legends of Athens, the Greek capital. Visit the Acropolis and admire views of the cityscape from there. 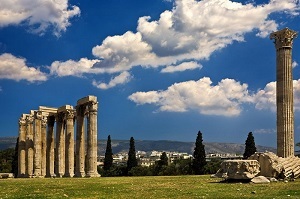 Tour the remains of the Temple of Olympian Zeus and the well-preserved Temple of Hephaestus. Walking tour led by a friendly and expert guide. "This was our favorite out of several tours during our stay in Greece." "The best tour and the best guide." "This tour offered both a mythological aspect and non mythological aspect." This tour is an ideal opportunity for travelers interested in Greek legends and mythology. The tour offers a quick overview of the city's highlights for travelers limited with time. The activity is ideal for children and adults alike. A half-day trip from Athens to the ancient city of Corinth by bus. Corinth used to be one of the wealthiest and most beautiful cities throughout ancient Greece. The tour also covers an old port of Kehreai. Travel along the Saronic Gulf and see islands and beaches before reaching the Corinth Canal. Admire the remains of ancient Corinth, such as the Temple of Apollo and Agora, and learn the history of this once an affluent city. Visit Kechreai, the port where Saint Paul disembarked to preach about Christianity in this part of Europe. A return trip by a comfortable coach with air-conditioning. The tour is led by an expert guide. "I enjoyed learning about the historical and biblical significance of Corinth." The tour is suitable for people of all ages. Highly recommended for travelers interested in ancient Greece and classical architecture. If you admire scenic landscapes and are curious about history, don't miss this activity. A guided tour of a wide area of central Athens on an electric bike. A chance for travelers to experience the beauty of the Greek capital after the sun sets. 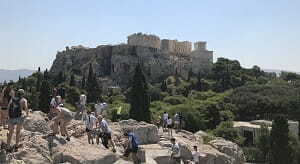 The tour includes visits to some of the top attractions of Athens and the access to vantage points offering great views. Cycle your way through the center of Athens to visit many of its top tourist attractions. Climb a vantage point offering great views of the Acropolis and Mount Lycabettus. Hear interesting stories about the city's landmarks from a knowledgeable guide. "What a great way to see Athens"
"Our tour guide was very knowledgeable, fun and interactive." "We enjoyed from the start till the end." The activity is suitable for both children and adults. 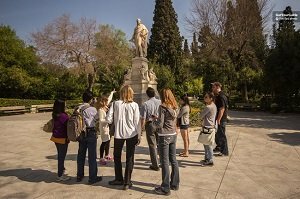 The guided tour is ideal for travelers wishing to see the top attractions of Athens and learn interesting facts about them in a short time. Fans of classical Greece are highly recommended to join the tour. 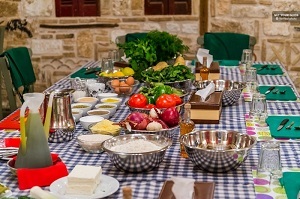 The lesson instructing travelers how to prepare an authentic Greek meal. After preparing the meal at a tavern, the attendees enjoy the dinner they prepared. A glass of wine or a soft drink complements the experience. Prepare a traditional Greek meal with the seasonal ingredients. After preparing the meal, you will have it for dinner at a traditional restaurant. Acquaint yourself with basic and complimentary ingredients of the Greek cuisine. "Great instruction, wonderful food and fellowship!" "Excellent class with great interaction." "This class was one of the highlights of our trip!"